BCDB Rating: 2.6/5 Stars from 9 users. This page has been viewed 25 times this month, and 11945 times total. Cartoon Characters: Tintin, Captain Haddock, Sir Francis Haddock, Thomson, Thompson, Red Rackham, Lieutenant Delacourt, Silk, Omar Ben Salaad. Voice Actors: Jamie Bell, Andy Serkis, Simon Pegg, Nick Frost, Daniel Craig, Tony Curran, Toby Jones, Gad Elmaleh. Produced By Peter Jackson, Steven Spielberg, Kathleen Kennedy, Ken Kamins, Nick Rodwell, Stephane Sperry. Written By Steven Moffat, Edgar Wright, Joe Cornish, Hergé. Originally Released on October 22, 2011. Tintin and his friends discover directions to a sunken ship commanded by Captain Haddock's ancestor and go off on a treasure hunt. You can watch this cartoon today on your computer. 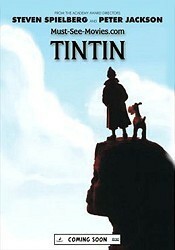 Just click below to start viewing "The Adventures Of Tintin: Secret Of The Unicorn" online now. Do you have anything to add to this page? Have we made any mistakes... or do you have any additional information about The Adventures Of Tintin: Secret Of The Unicorn? If so, we would love to hear from you. Please send us a quick note with your additions or corrections to this page, and we will make the corrections as soon as possible! 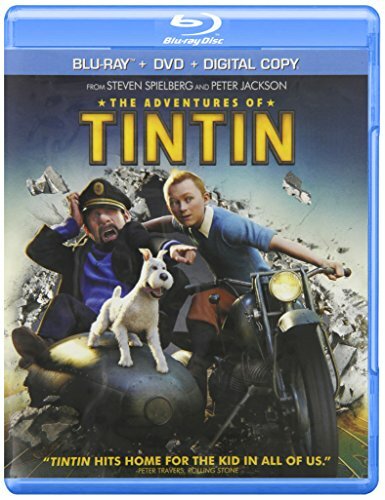 Do you love The Adventures Of Tintin: Secret Of The Unicorn, or do you think it is the worst cartoon ever? Let us know what you think! Surely you have an opinion... so share what you think. Take a minute and post your own comments about this cartoon here. The Adventures Of Tintin: Secret Of The Unicorn by Big Cartoon DataBase is licensed under a Creative Commons Attribution-NonCommercial-ShareAlike 4.0 International License.